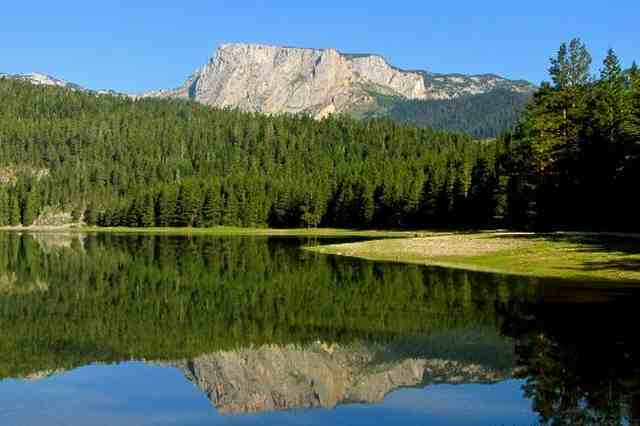 Pre-book transportation by taxi from Budva to Zabljak - national park Durmitor using best Montenegrin travel association. Enjoy your journey in the hands of professional drivers and feel the comfort of our higher middle class of vehicles. Cheap taxi transfer from Budva to Zabljak you can easily reserve online at our site, without any fee and payment by credit card. You will settle your financial obligation directly to the driver when you arrive at your destination. We are not an intermediary agency where you have to pay a booking fee; we are direct business executives, long-time experienced chauffeurs in Montenegro. How much money should you extract for your transfer? Taxi ride Budva to Zabljak is at the price of 120 Euros. Those are total cost per one vehicle which can easily accommodate even four travelers together. We are using cabs like E class Mercedes, Toyota Avensis, VW Touran / Passat, Ford Mondeo and similar vehicles appropriate for longer rides. All possible travel costs are included in the price that is fixed throughout the year. All booked journeys are solely private. You are booking taxi transport from Budva to Zabljak only for you and people you are traveling with. In our association you are protected from shared transfers and trips with strangers in the same vehicle. How to make reservation? It is very simple and very fast. Using our booking form at the site you can do it in less than a minute. Just indicate precise pick up location and date and the time of traveling. You can also call us and communicate with our friendly team assistant on English or Montenegrin language. To schedule a taxi journey from Budva to Zabljak you can also use advanced applications like WhatsApp or Viber. No matter which mode of booking you prefer, your mobile phone number is required. This is just for unpredictable circumstances that driver can communicate with you in the case of urgent need. Travel distance is about 190 kilometers, and ride duration is about three hours. Itinerary is following: From Budva to Zabljak by taxi first you will pass next to Cetinje, than through Podgorica by taxi and to Niksic. Small place Savnik is last settlement before Zabljak. This is the fastest and the most economical route. Also using this itinerary, quality of road is the best. If you want to make your trip like tourist tour and small excursion, we can recommend traveling from Budva in direction of Zabljak through the canyons of Moraca and Tara rivers. This is a bit longer route, but natural beauty of this canyons and Montenegrin Mountains will take your breath away. This road offers you great possibilities; to see and visit Moraca monastery and Biograd Lake, which is second the oldest national park in the world. You can stop wherever you want during the ride and take your time in sightseeing, waiting cost ten Euros per hour. For a group traveling which require more seats than regular taxi vehicle has, we can provide minivan or bus from Budva to Zabljak. This kind of transfers must be booked at least one day in advance, and for bus reservation you must pay 50% of the price in advance. Reservation fee can be charged only by credit card, and there is no money back in the case of cancelation. You can choose from several kinds of tourist buses we have in the offer, starting with minibuses 34 seats and up to 56 seats high class bus. Taxi Budva Zabljak for up to four persons you can order even two hours in advance. That is enough time for us to ensure the best vehicle available at the moment and properly maintain it before pick you up.